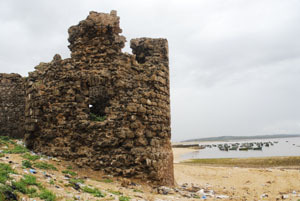 The town was an important port in the 11th century, serving the city of Aghmat which was inland 3 days journey to the east. 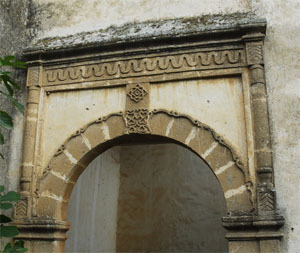 Between 1506 and 1525 the stronghold of Aguz was an enclave under Portuguese colonial rule, as were various other Moroccan towns, such as Safim (Safi) (1488-1541) . 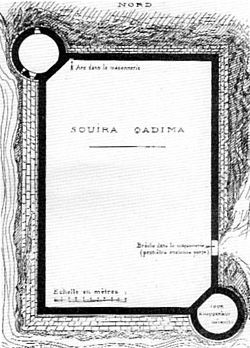 For some,was Souira lqdima,the ancient city of Mogador possibly Diabet near the tomb of Sidi Megdoul. 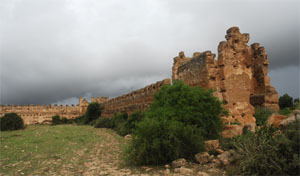 about 10 km south of Souiria at the left bank of the Oued Tensift. 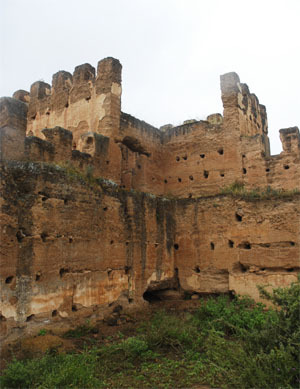 This kasbah was a major fortress built by sultan Moulay Ismaïl in the seventeenth century. 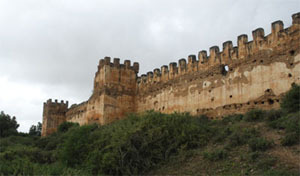 The outer wall, flanked by bastions and crowned by barricades has tremendous allure despite the ravages of time. 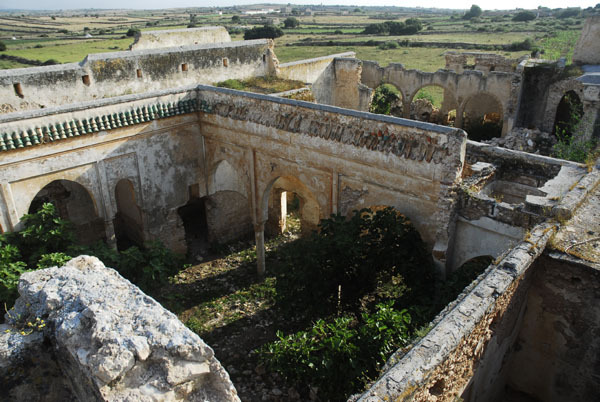 150 m long on each of its four sides, it encloses a mosque and various ruined buildings. 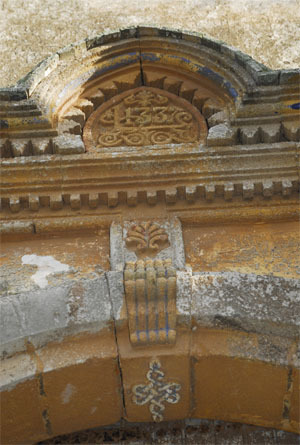 Historical sources trace the time of its construction to the reign of Sultan Moulay Ismail Alaoui. 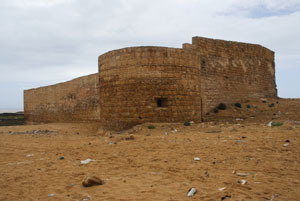 It is surrounded by a large enclosure "Tabiya, " which ends with the curtain towers, oblong. 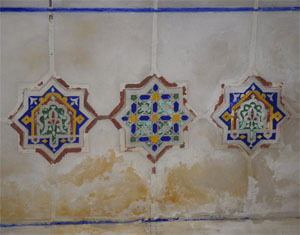 The structures of a mosque. 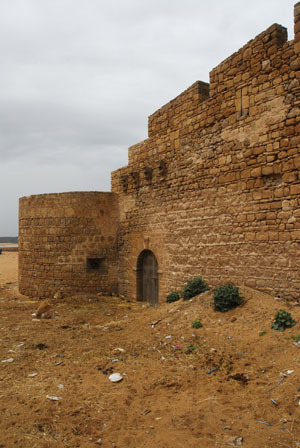 The mechouar: it is protected by a second wall and a moat that was filled with water from the Oued Tensift. 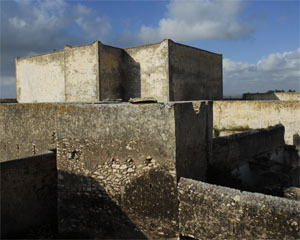 The interior of michouar houses several ruined structures, whose function currently escape us. The monument is currently in very poor condition. 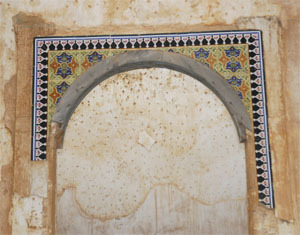 The Mellah: The enclosure of michouar ends on the south by a section that extends to the walls of the Kasbah. 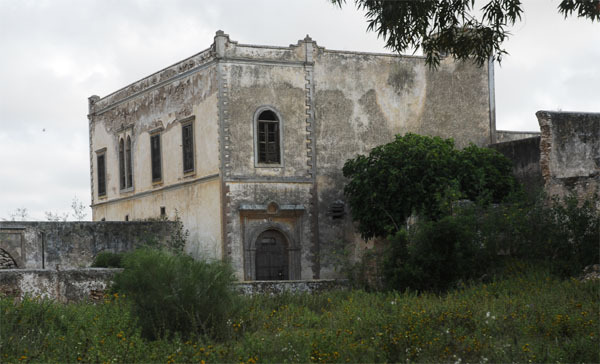 This was probably the mellah. 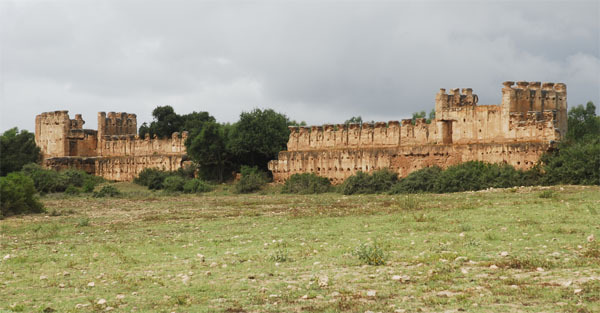 Moulay Ismaïl is also known as a fearsome ruler and used at least 25,000 slaves for the construction of his new capital Meknes. 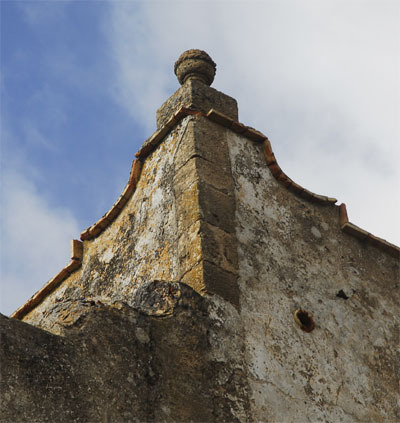 His Christian slaves were often used as bargaining counters with the European powers, selling them back their captured subjects for inflated sums or for rich gifts. Most of his slaves were obtained by Barbary pirates in raids on Western Europe. Over 150,000 men from sub-Saharan Africa served in his elite Black Guard. By the time of Ismail's death, the guard had grown tenfold, the largest in Moroccan history.